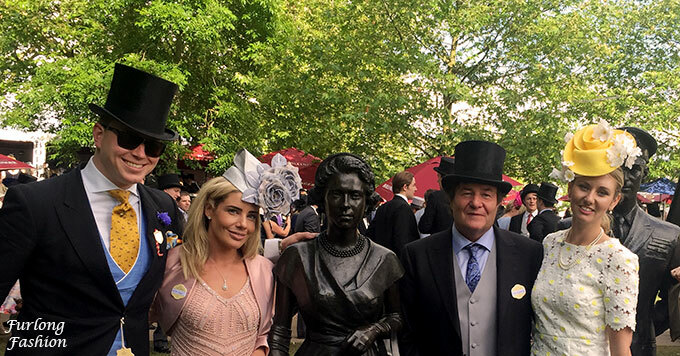 Royal Ascot was already in full swing when we made the decision to join our owners John and Carolyn Radford for a one day spectacular. Luckily we are regular guests at the Macdonald Frimley Hall Hotel, and they managed to squeeze us in for the evening, whilst also supplying us with a lovely bottle of Prosecco and a welcome back card which made us feel ever the more special. Now we had somewhere to stay, my next dilemma was what to wear! 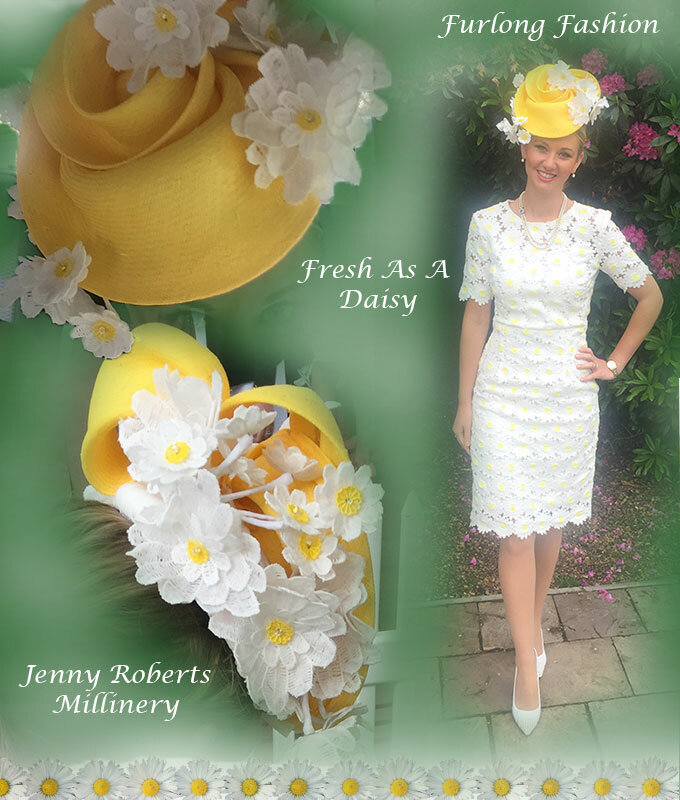 Jenny Roberts Millinery is literally my "fairy hat mother" no matter how short notice she always delivers an incredible piece of millinery. 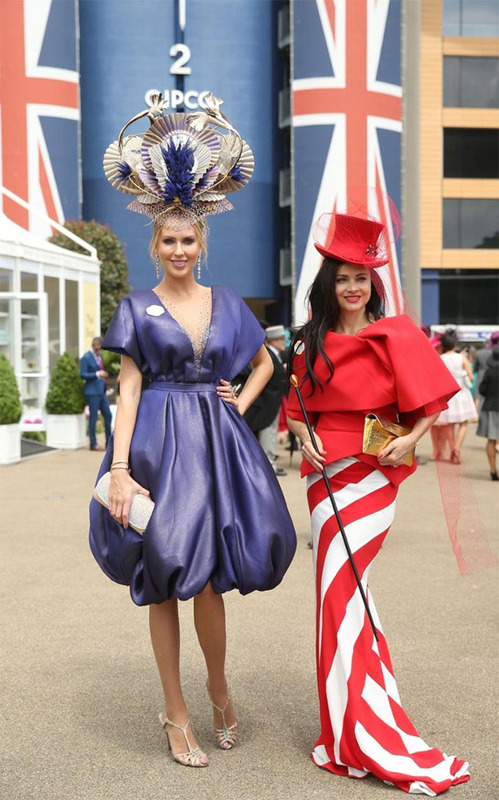 Jenny and I had already been planning my Goodwood Festival outfits so I decided to wear one of the outfits that was destined for Goodwood. 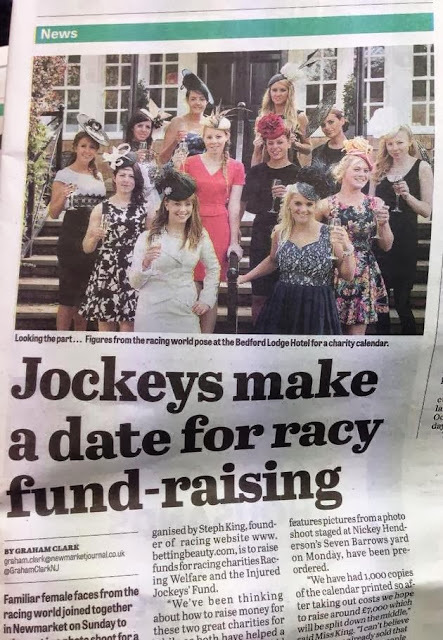 Jenny promised me that the hat would be ready for Thursday and when my mum arrived in Harrogate to collect it, she was sewing the last crystals in place, before heading off to Ripon Ladies Day to judge the best dressed lady competition. 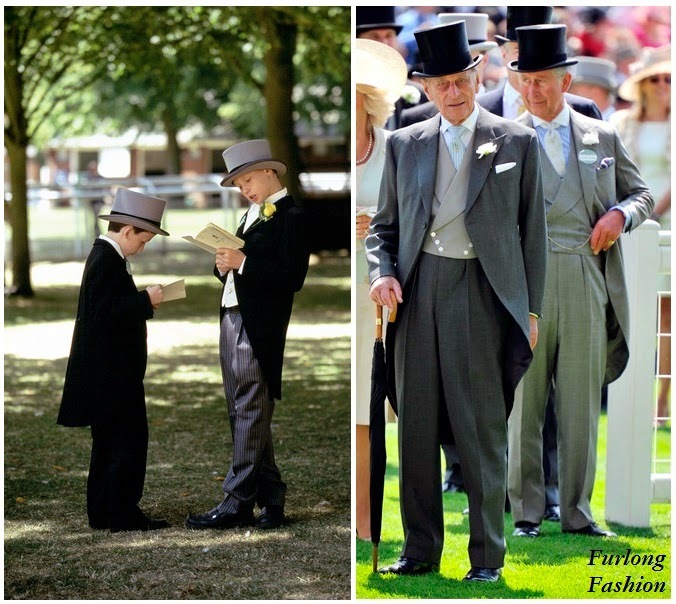 I was thrilled to be attending Royal Ascot, as I had been enjoying three fashion-filled days sat behind my computer screen spotting the incredible show stopping looks already on display. As soon as I put my outfit together I fell in love. I'm sure it will be getting another outing at Goodwood (You can wear an outfit more than once honest). 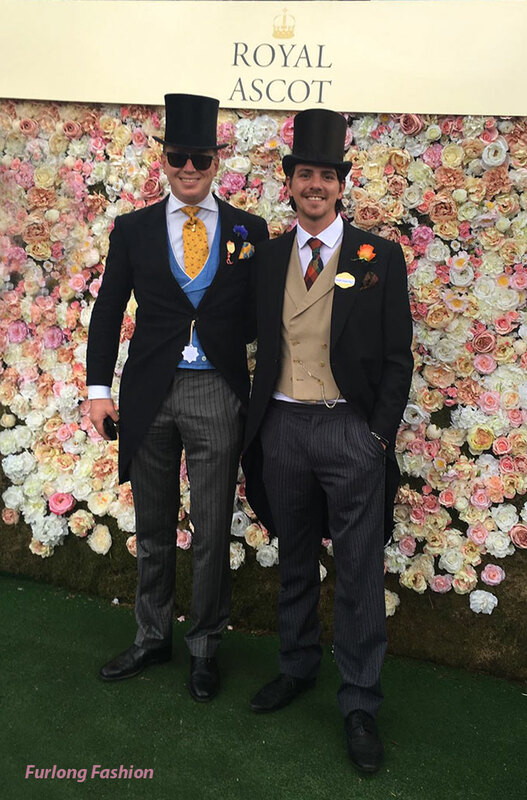 The flower wall was a great addition, giving racegoers the opportunity to capture the perfect picture to remember their day with. My outfit choice must have been a lucky omen, as dreams were made for the Ontawinner Horse Racing Syndicate when Quiet Reflection kept to a true line and stormed home in Group One Commonwealth Cup. 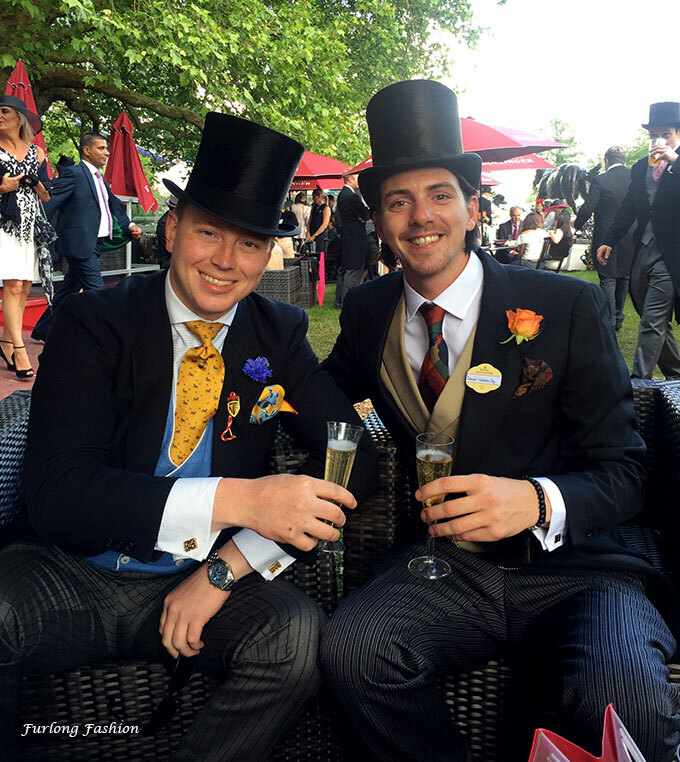 Royal Ascot was a fantastic opportunity to catch up with friends and watch some of the finest racehorses in the world in action, whilst taking in the sites of some breath-taking fashion. Not forgetting the occasional selfie throughout the day! 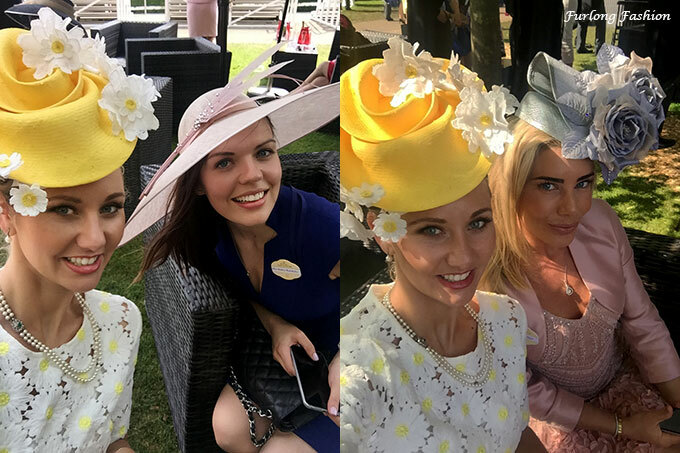 With strict rules about headwear in place, female racegoers took the opportunity to show off a number of "memorable" hats and outfit choices. 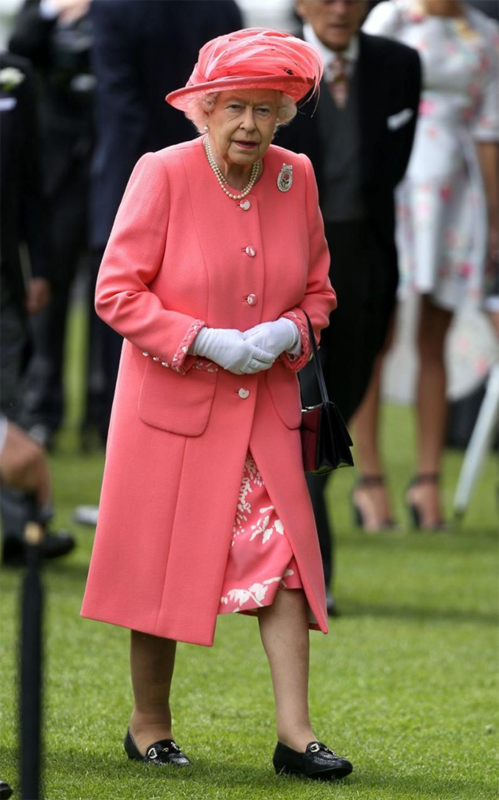 Although you can always count on HRH The Queen to keep it classy in bright colours by her favourite designers. 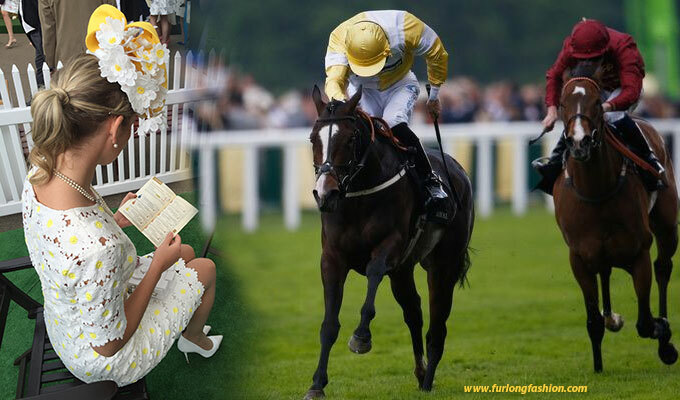 For those of you who attended Royal Ascot 2016 I hope that the weather didn't dampen your experience and you had a wonderful time. It is now time to look forward to my favourite racing event of the year .......... The Qatar Goodwood Festival ( Formally known as Glorious Goodwood) , if you would like any fashion advice please do not hesitate to contact me, although the most helpful advice I can give is to make sure you check the weather forecast daily, whether you need to amend your outfit choice, swap your hat or hitch a lift rather than getting the train, the weather is the biggest factor when making your raceday decisions.